I suggest you revert back all the account settings on the Noctis Lucis Caelum account; except the ban can stay. Unless you're trying to bait me into making the jobs of you mods more difficult and encouraging others do the same until you fix it. Profile picture, name, member title, all of it. Until that has been done or the account is deleted from your database; I'll be motivated to screw with you guys until you remove the clown account. 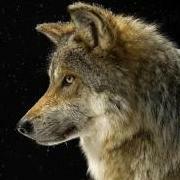 Please provide a link to your old avatar. The signature was in violation of our standards, but I'll revert it to blank. Think I used that for my Avatar, unless I had to adjust it for size constraints. My custom text was "True King"; and I guess this is farewell. Thank you to Admin and all the Mods who did make CN worth playing so long. Good luck and sorry I snapped. 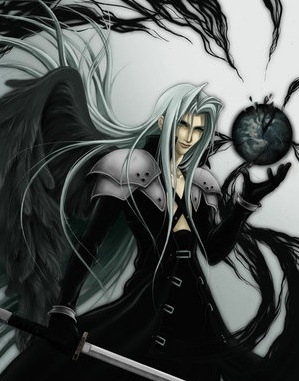 This was the traditional Avatar I used for this Sephiroth Account if you feel like setting that as well. Goodbye and Happy New Years to All of You! I liked the profile pic/name/member title the Mods chose better. There should be a poll allowing the community to vote on which we prefer to laugh at more when we visit the closed OP for nostalgic purposes. A Libertarain Empire is Born, bringing new possibilities of freedom on this world. Originally recruited into an alliance called Mutually Assured Defense, eventually I got invited to join a Libertarian Alliance called the FCC. Within the Libertarian Empire, I quickly felt at home debating complex Libertarian issues and interesting conversation were had. As soon as I could run for the Senate, I did and easily won. I easily won re-election the next time. However as the previous leader was stepping down, his replacement was a High Court Judge who wanted me to take his place in the High Court. I was also a Citadel Representative and Director of the Citadel Trading Company. The noCB War began and I knew there was no way the Citadel or any of our allies would support FCC defending MK. They warned us it was risky, if they weren't flat out 100% opposed to us signing one. I ended up leaving to join MK to defend them on my own, having recently become nuclear capable. One other FCC member also left to join MK for the fight. I learned a lot about maximizing damage in nuclear warfare and taught me much about the combat system. Due to friction with a founder, many other leader from FCC left after we me to form a new alliance called Onyx Hand. 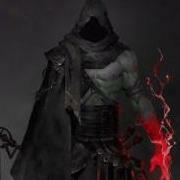 I joined and was made the Triumvir of War. I made guides and organized the military. However FCC was on the verge of death with no leaders left, so an agreement was made Onyx Hand would merge in with a new Charter Written to allow more decisive action. 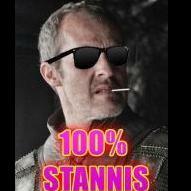 I was elected King with everyone who voted doing so in favor of me, however one member obtained. I quickly made the FCC into a military power, prioritizing aid programs to getting everyone fully nuclear capable. The FCC performed very well in the Karma War against Karma, didn't break a sweat. Also the FCC more then tripled in size between me stepping up as King and me stepping down. Vote Libertarian Empire for the Brown Senate, for continued freedom & prosperity on the Brown Team. Congrats to Teeters & Ghuxalia. Maybe its time Non Grata rattles some sabers. Maybe we can be on the same side in bringing some chaos or rebalalance the world. Due to inactivity levels of others, if I make more than 1 thread every 2 months; I'm accused of making to many threads. So many alliances we're at war with haven't been announced as being at war with us. However I still have months left of fighting in me, lets make this world active again if its to inactive through war. What kind of prize are you thinking of for the contest? I think something unique like the winner getting to create a forum pip for their own use or a custom gov type in-game would be better than in-game stats; even if the gov type just replaces a current one for the user & has the same bonuses. As for the negative/positive rating of posts, I think a lot of people would rate posts down based on who's posting & rate down political opponents regardless of the quality of the post. Adding a feature to click like for a post could maybe be interesting, but I don't see a big need for it. What I would like is when blocking a user, having an extra option so you don't even see "This post is hidden because you have chosen to ignore posts by "Blocked User". View it anyway?" would be nice. So when you read a thread you can't see they've even posted in the thread unless someone quotes them; completely filtering them out except if their post is the OP for an announcement. Then if you do decide you want to see what they've said, you can adjust your options. The new one looks good. If you want to blame an alliance for their rise back to power, that would be Umbrella's doing when they allied them putting them back on the side of the current hegemony. My nation exists to help others & improve the state of the world. Opportunists who want to bandwaggon in late expecting a surrender will get what's coming to them. I've always been willing to sacrifice everything in the pursuit of what is right & my nation will survive as long as there are still those who want to see justice. When there is no one left who cares about justice & what is right; then maybe my nation will cease to exist. However I don't see that happening anytime soon. o/ Zombinator o/ Roochi 2 great members of the community gone, because Kashmir would rather use the mods as weapons than actually fight.